fundamentals classes in Computer Engineering. The class is taught in our integrated lab / classrooms in 009 Hayden. This allows the class to move easily between concepts and practice of the concepts, whether they are hardware or software concepts. 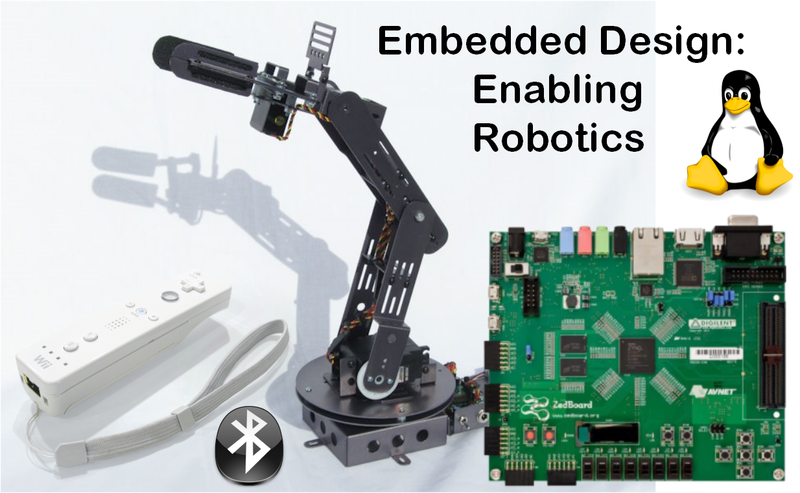 We will utilize an embedded platform that controls a robotic arm to allow students to learn about the hardware/software interface. Yale Patt and Sanjay Patel, Introduction to Computing Systems: From Bits and Gates to C and Beyond, 2nd edition, Publication Date: August 5, 2003 | ISBN-10: 0072467509 | ISBN-13: 978- 0072467505.